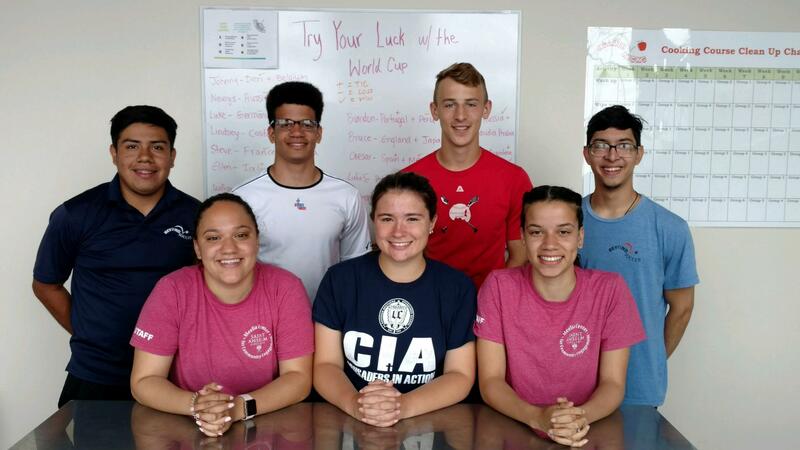 Inherently there are leadership opportunities on the field for our Beyond Soccer teens and pre-teens, but we take it to the next level by giving our youth the chance to earn money, coach, referee and participate in year-round leadership camps and conferences. Youth Jobs Program: We hire 10-15 full and part-time high school and college-age students from Lawrence to run 100% of our busy summertime sport, health, academic and leadership camps and clinics, that got 553 kids playing and moving in 2018! We also hire, train and retain Lawrence teens and young adults as Coach Mentors during the school-year to coach our travel teams, like long-time Beyond Soccer participant, William Inirio, pictured above, who works with our Grade 4 boys Storm. Leadership Conferences/Programs: We partner with organizations, like long-time partner, Dream Big!, through its Female Leadership Conference, that provide our student-athletes with access to meaningful leadership events outside the City. Other examples include Julie Foudy’s Sports Leadership Academy in NJ, and our own Sports Leadership Academy in Lawrence! Referee Program: In partnership with MYSA and Essex County Youth Soccer, we sponsor referee courses for teens and young adults with a desire to earn money while staying connected to a sport they love. This winter, 8 teens and young adults participated in an 8-hour course that will make them eligible to referee league games in spring 2019!